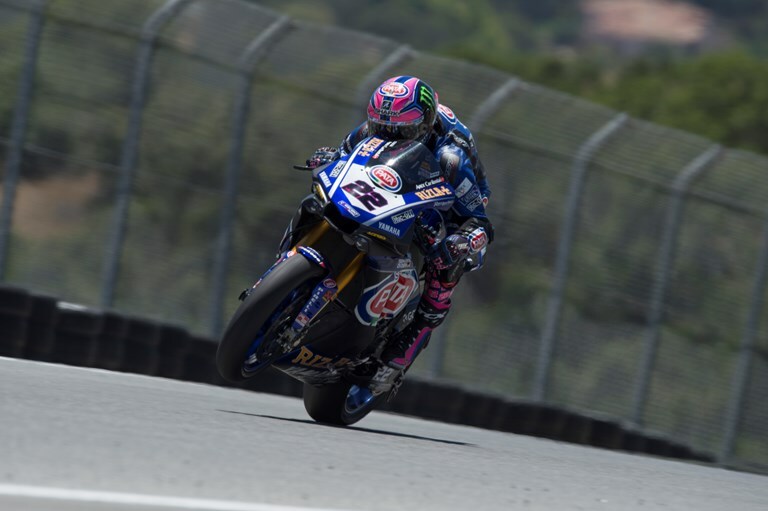 Lowes got off to a strong start in the morning’s FP1, showing the confidence that comes with having secured his maiden WorldSBK victory at the last round in the Czech Republic, the 27-year-old British rider ending the session in fifth after setting a 1:23.979. As the temperature rose, so did Lowes’ pace, and he improved to a 1:23.837 in FP2 to move up to fourth overall. In the afternoon’s FP3 session, he once again made another step, setting a 1:23.687 as he focused on finding a good rhythm for the race. This saw Lowes end Friday in seventh overall and make it through automatically to SP2, happy with the work completed and confident there is more to come on Saturday. Van der Mark arrived in the USA on the back of an incredible run of results that has seen him record two victories, a second-place, and a fourth-place finish in the last four races. Building his rhythm in the usual methodical manner in the morning session, the 25-year-old Dutch rider ended FP1 in seventh with a 1:24.106. Focusing on race pace in FP2, he showed good consistency although he did not improve his time from the morning, ending the session in tenth overall. In FP3, he tried a variety of different setups but couldn’t quite find the perfect feeling with his Pata Yamaha R1, ending the day in 11th on the combined timesheets with his time set during FP1. Disappointed at missing out on automatic qualification to Saturday’s SP2, Van der Mark is determined to make use of the extra track time he will get during SP1 to allow him to make a step before Race 1.